For nearly three decades, The Wiggles, the world’s most popular children’s entertainment group have educated, entertained and enriched the lives of millions of children (and their parents) all over the globe. With over 230 episodes of bespoke preschool content, The Wiggles success can be attributed to the confluence of their foundations in early childhood learning principles and their infectious songs written by The Wiggles themselves. Children who once saw The Wiggles perform are now bringing their children to see the fab 4 of fun! The Wiggles have sold over 8 million books, 30 million CDs & DVDs including the most recent Gold and Platinum Album Awards given to Emma, Lachy, Simon and Anthony. All of this was topped off by being awarded 2018 Preschool License of the Year by LIMA Australia & New Zealand. The Wiggles are one of the hardest working and most successful musical groups in the world, touring Australia, Canada & USA, over the last year. In 2018 The Wiggles played a total of 348 shows, selling over 405,000 tickets. Parents can not wait to get Wiggles tickets for their children. 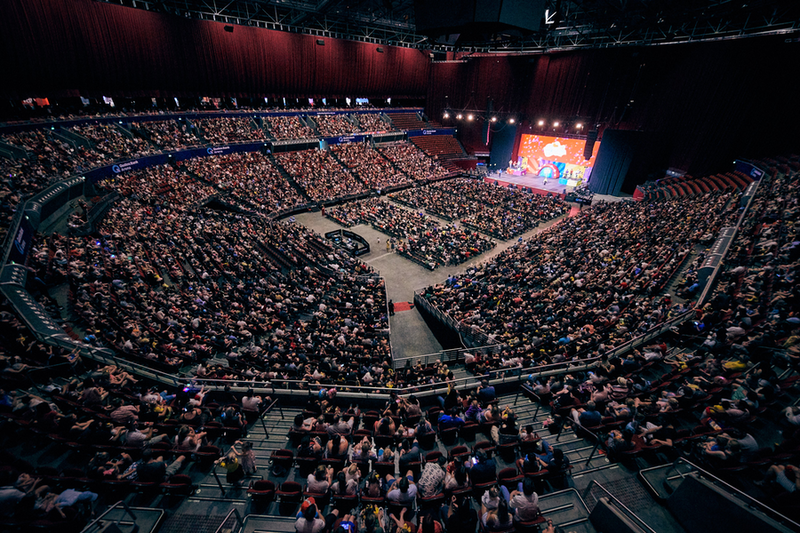 The Wiggles end-of-year arena tour saw ticket presales of 101,112 tickets within 24 hours, a 31% growth in one year! In 2019, ‘The Wiggle Fun Tour’ will be a full production featuring all of The Wiggles hits from ‘Hot Potato’ to ‘Do the Propeller!’. The Australian leg of the tour will see The Wiggles touring all major community venues across Australia, as well as visiting Canada & USA. The Wiggles signature products are created for entertainment, education and play. 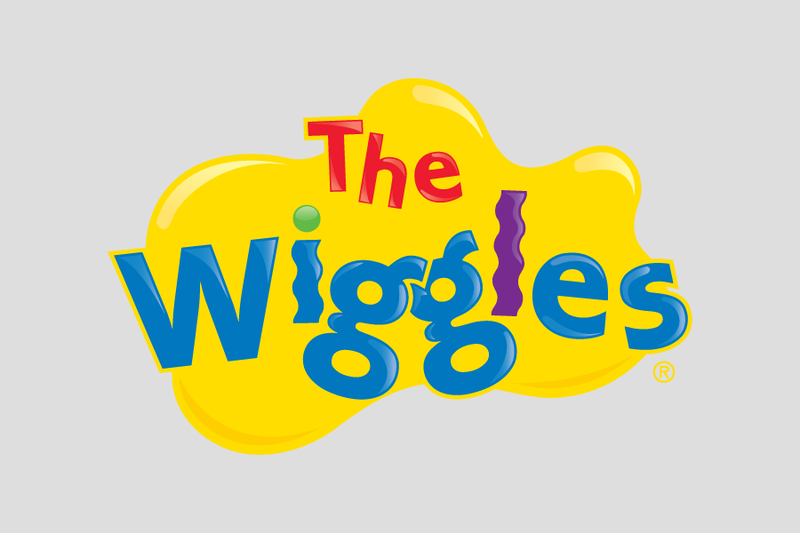 In 2018, The Wiggles had a year of enormous growth in consumer products – introducing new product, categories and retail partners. This was all complemented by an innovative approach to sharing such excitement with The Wiggles social communities, through Facebook and Instagram – increasing product reach and overall engagement of the consumer product program. The Wiggles have also introduced The Little Wiggles, a new brand under The Wiggles umbrella specifically catering for the ‘edutainment’ needs of babies & toddlers (aged 0-2 years). “Even after 28 years, The Wiggles brand continues to evolve! Babies and toddlers have always been a part of our audience so it’s great we are finally catering specifically for our tiniest fans with these products” says Paul Field, Managing Director, The Wiggles. 2019, also sees a new era of growth for The Wiggles with the addition of Headstart as a new Master Toy partner in Australia and New Zealand and WowWee as a Master Toy Partner in North America. It is anticipated that these highly innovative, world class Toy companies can work cooperatively to expand The Wiggles footprint globally! It really is becoming a Wiggles World! The first release of the year is The Wiggles Big Ballet day! A stunning collaboration with The Australian Ballet. 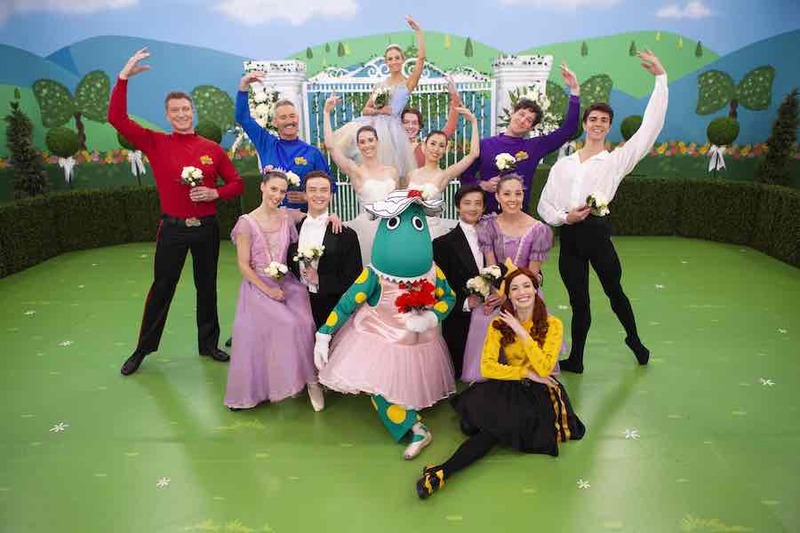 The Wiggles are joined by the star dancers from The Australian Ballet who bring the music to life. You’ll even meet a brand-new character named Shirley Shawn the Unicorn! The fun continues with our mid-year release Party Time! A collection of fun and festive party tunes that are perfect for any Wiggly celebration. Emma Wiggle has a brand-new second season to her hit show Emma! Season 2 (26 x 11 mins) that opens up a whole new exciting, interactive and inclusive world to the pre-school viewer. There are 100 new songs, new sets and even a bowtiful plane and Bowmobile car to transport her to visit her friends in the town! Production has just begun for The Wiggles brand new TV series The Wiggles’ World (26 x 11 mins). The viewer gets to adventure through unexplored parts of The Wiggles’ wide world and the wonderful people that inhabit it! You will discover Lachy’s Curly World, Wiggly restaurants, Emma’s Weather Report and so much more. With 100 new songs as well as Wiggly classics. The Wiggles YouTube channel has had explosive growth in the past few years, with increased subscribers, views and watch time spanning across 227 territories. The channel has accumulated over 350,000 subscribers, over 543 million views and over 1.2 billion minutes of watch time! During the last year, The Wiggles have had a 97% increase in subscribers, 120% increase in views and 140% increase in watch time (Feb 1st 2018 – Jan 31st 2019). Nursery Rhymes is The Wiggles biggest success on the platform to date, with over 48 million views since it was uploaded in late December 2016. On top of The Wiggles regular themed and playlisted children’s content, The Wiggles have worked with popular children’s YouTube channels such as Super Simple Songs, Sesame Street and Mother Goose Club on collaborative playlists of content and hosting competitions for the shared audiences of the channels. 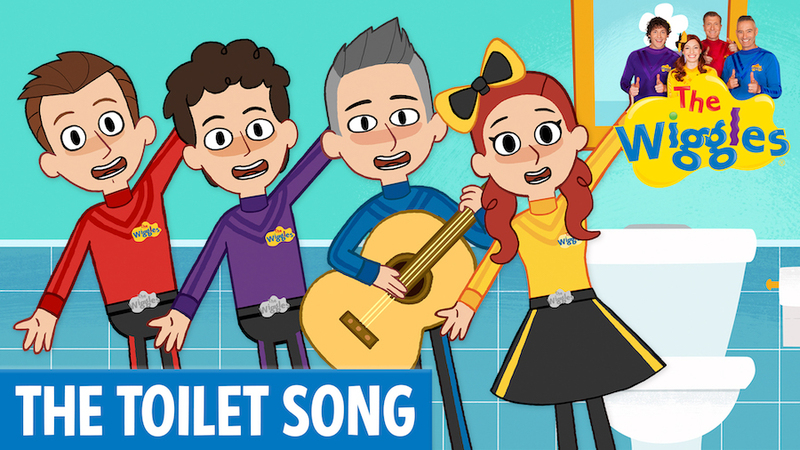 Most recently The Wiggles collaborated with Super Simple Songs on a Wiggles Week campaign with video appearances on both channels, a competition, a collaborative playlist and the creation of the animated video for the brand new potty-training song The Toilet Song. This song exploded online, and had a combined reach of over four million views just two weeks after it was uploaded. Due to the collaboration with The Wiggles, subscribers to the Super Simple Songs YouTube channel went up by 20%. The Wiggles have a thriving social media community, spanning over 45 countries! Australia, the USA and Canada currently hold The Wiggles three largest fanbases. The core audience are the 25-44 year olds and is made up of 85% women and 15% men. The social platforms are the #1 go-to for Wiggles tour announcements, celebrations, product updates, exciting competitions, launches and new release information!